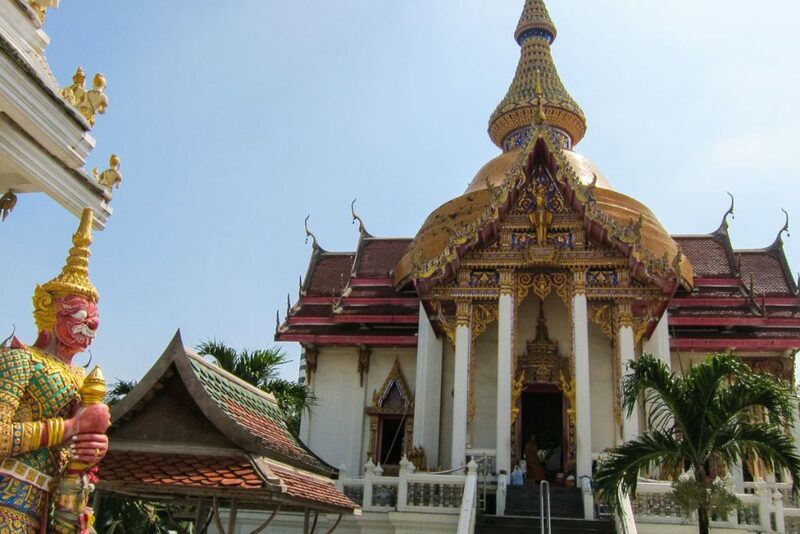 In the heart of Pattaya sits the city’s oldest and main Buddhist Temple, Wat Chi Mongkron (also known as Wat Chai Mongkol). 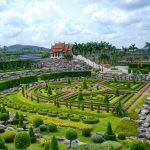 Even though it is located on the corner of Second Road and South Pattaya Road, most people hardly notice it or take the time to stop in to visit. From the outside it is a rather unassuming compound, you could hardly believe it takes up 10 acres of land. 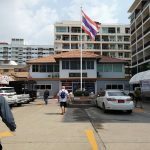 Bordered on Second Road by shops and storefronts, the main entrance is located on South Pattaya Road. It is well worth take a half hour to look around the Temple and take in the sights and history. First established in 1937, the temple was built on private land, donated by a local benefactor. It wasn’t until 1954 when the temple was royally granted land and the expansion began. The temple grew through slow expansion adding over 30 buildings on the site. They include the temple, monk’s living quarters and school, a massage school, and a crematorium. This is an active temple with monks living and working onsite. One of the two main Buddha statues, Buddha Chaimongkol, is from the old Ayutthaya empire and is said to be about 350 years old. The second, the Chinraj Buddha image, is the head of the Chaimongkol pagoda shire. In January 2013, the Wat was officially designated as a royal temple. This makes it the top Buddhist institution in the area. Wat Chai is also known for the shopping available at the market that is setup their daily. You’ll find clothes, food vendors, and a variety of other items on offer. It is a popular place for the local Thai’s to shop. On special occasions, the temple grounds turns into celebration. Buddhist holiday’s such as Thod Kathin Festival (the end of Buddhist Lent), Visakha Bucha Day, and New Years are big events at the Temple. Thai’s come from all around to make merit, commemorate, and celebrate. For some reason there is confusion on the proper name of the temple. Some people call it Wat Chai Mongkol others Chai Mongkron and still others Wat Chai Mongkhon. So what is behind the confusion? Part of it probably has to do with translating Thai to English and trying to spell words phonetically. That is one possible reason. However I think there is another reason. As you can see from this photograph, the sign outside the temple clearly states Wat Chai Mongkron Royal Monastery. It is pretty hard to dispute the legitimacy of the sign. 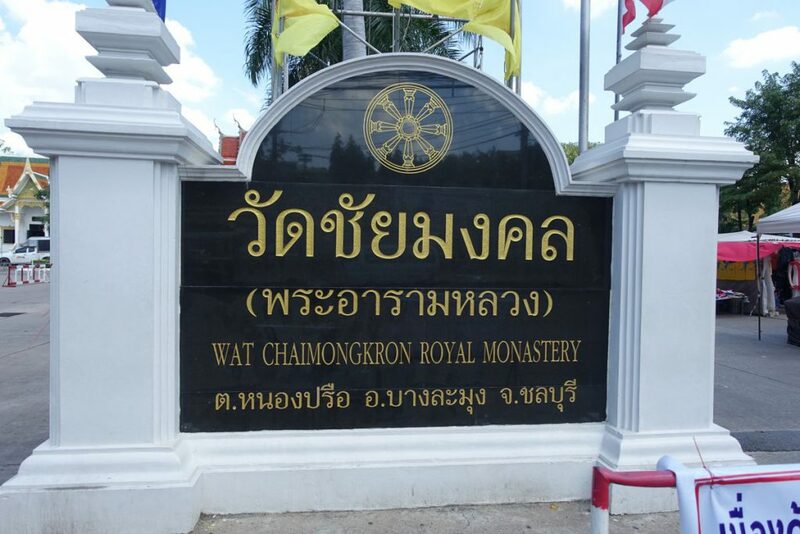 The name Chaimongkron comes from the name of the head monk of the monastery when it was founded. 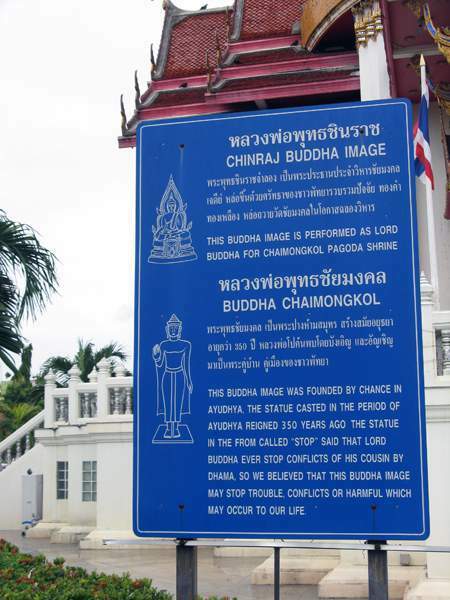 However on the inside there are signs describing the ChaiMonkol Buddha image that is housed inside the temple. So this spelling also makes sense. Is it something completely different or just a different translation to English? There is a Wat Chaimongkol in Ayutthaya, where the main Buddha statue originated, which maybe the confusion. But for an accurate answer, you’d have to ask a Thai. 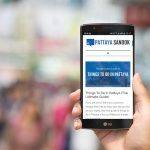 If you are looking for something to do while in while in Pattaya, it is well worth a quick 30 or 40 minutes to visit the this Pattaya temple. Take a wander around the grounds and visit the buildings on site. You’ll be one of the few Westerns who do it on their trip to Pattaya. Location: Corner of Second Road and South Pattaya Road. Entrance on South Pattaya Road just east of second road.